Technology is emerging in all fields. The use of surgical microscopes in dentistry is now widely embraced by dental specialists, including Dr. McKim. 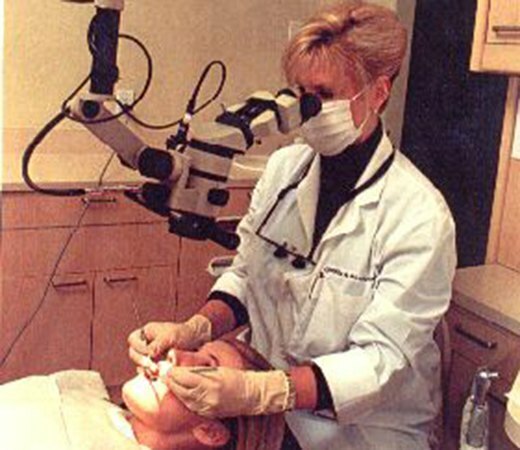 As your Boise dental provider, Dr. McKim uses surgical microscopes to further enhance your procedure. How so? The most precise restorative margins (cuts) are viewed and fine-tuned with enhanced patient rewards, perfecting even the tiniest details. The surgical microscope leads to heightened fine motor skills. The results are improved visibility from the magnification and illumination, which leads to improved clinical results. Dentistry must be precise. With our microscopes, you can rest assured we are committed to providing the most precise dentistry possible. "Everyone at Doctor McKim's office is stellar. They are the absolute best!"